Oliver Libby is the Chair & Co-Founder of The Resolution Project, a global nonprofit that identifies and empowers undergraduate students around the world and across the United States. Supported by The Resolution Project’s global network of resources, these students are inspired to launch new social ventures, and comprise a growing generation of leaders committed to social responsibility. Founded in 2007, The Resolution Project has empowered hundreds of young people to effect local solutions in their communities, impacting over a million people worldwide. He is also co-founding Managing Director of venture firm Hatzimemos / Libby, which gives him a cross-sector view on galvanizing entrepreneurship and building entrepreneurial ecosystems. Oliver joined the IVY Podcast to discuss his inspiration to co-found The Resolution Project, his belief in the power of collaborative social entrepreneurship, and how students can effect unprecedented amounts of change across the globe. This episode of the IVY Podcast is presented by Emerge212, New York City’s premier operator of full-service office suites. 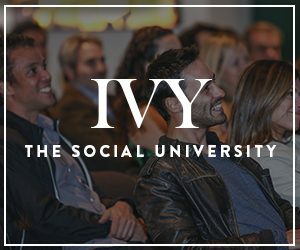 To learn more and attend live events near you, please visit IVY.com.